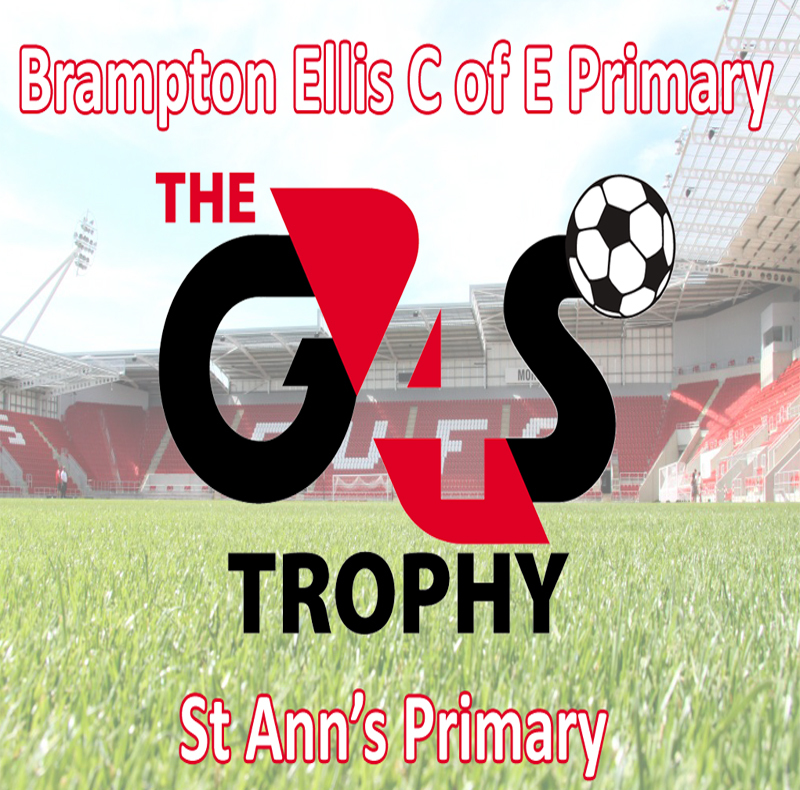 Match day 5 of this season’s G4S trophy saw tournament regulars Brampton Ellis take to the field against new comers St Ann’s during half time of the Rotherham United Vs Ipswich game at the AESSeal New York Stadium. From the moment the game kicked off it was clear to see that St Ann’s wanted to prove they were serious contenders in this tournament, they had a number of early attacks that showed Brampton that this was not going to be an easy game even with their experience in this tournament. It was therefore no surprise when St Ann’s took the lead although the manner of the goal was quite a surprise as it was a long kick from Marek Dirda the St Ann’s goalkeeper which was misjudged by his Brampton Ellis counterpart and the bounce took the ball over his head and into the back of the net, this was a first for this tournament as we have never had a goalkeeper score from open play before. This fortuitous goal clearly shocked Brampton into life as they began to attack from this point. The game went backwards and forwards with both teams trying to attack but the defences prevailing each time, this cycle was finally broken in the 5th minute when a slick passing move enabled Brampton Ellis the opportunity to equalise through Joseph Cook. With the game tied at 1-1 it looked like we were heading for the first penalty shootout of this year’s tournament but St Ann’s had other ideas and managed to win the game in the 7th minute when Ateeb Khan who had been St Ann’s danger man the whole game picked up the ball in midfield, beat a defender and slotted the ball home to secure his sides place in the next round.